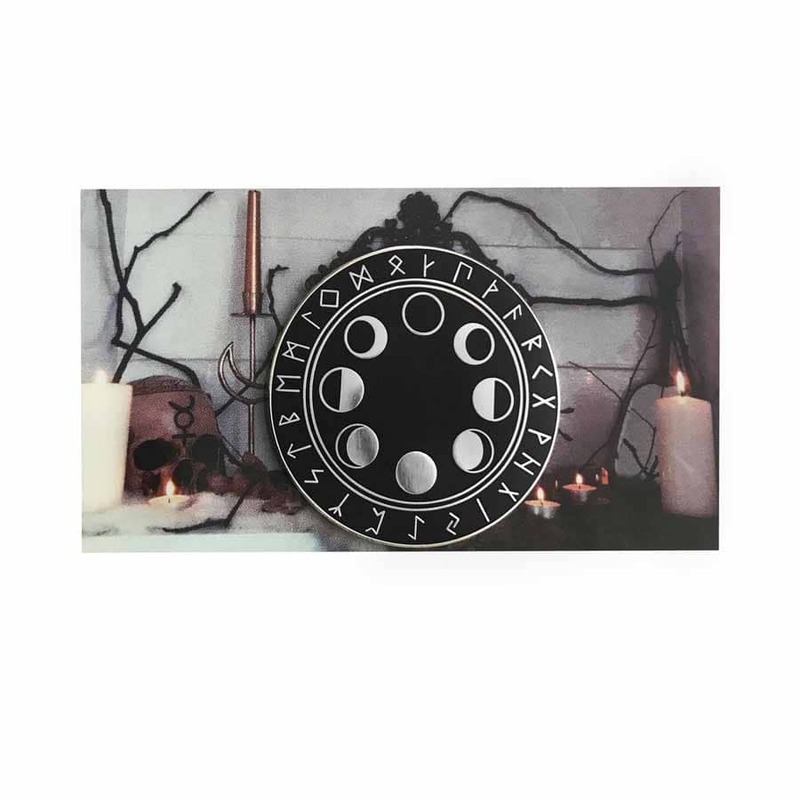 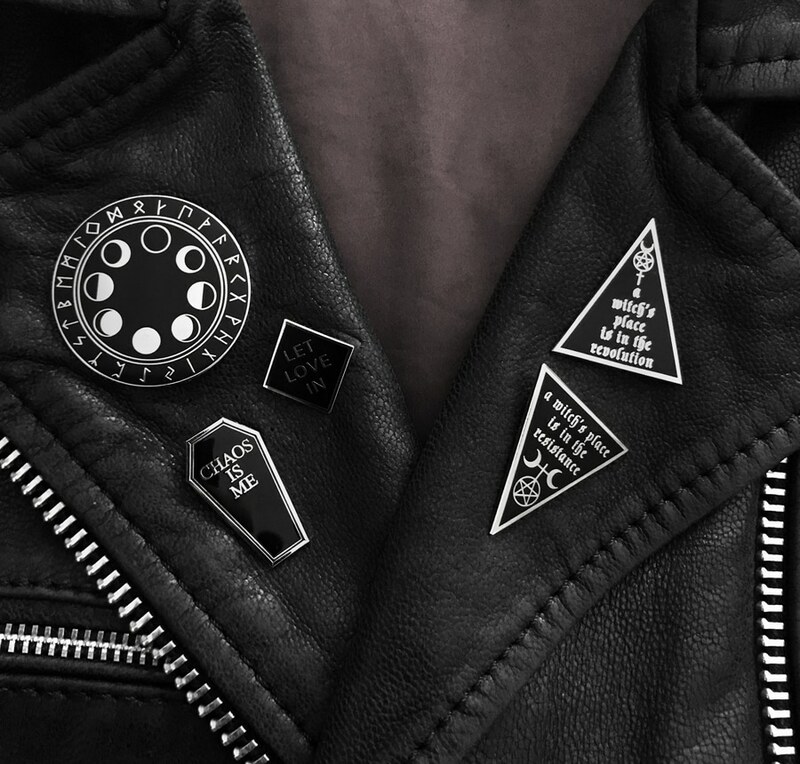 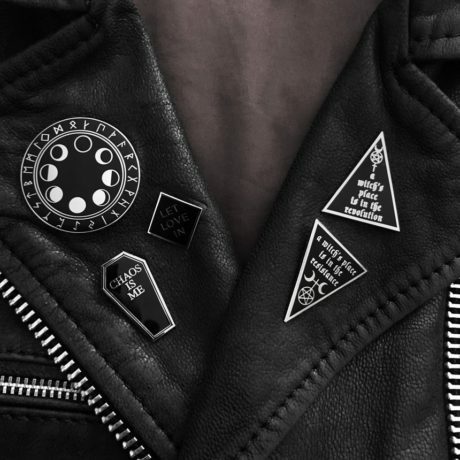 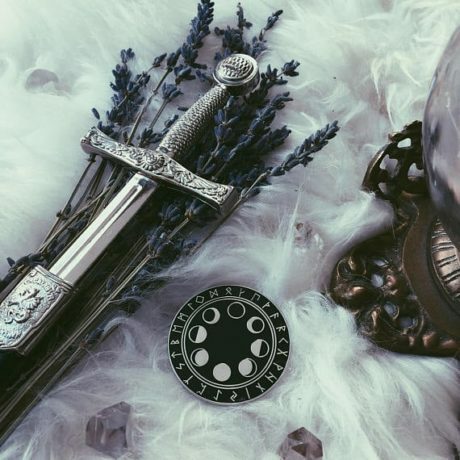 Enamel pin with a classic moon phase design surrounded by a delicate outer band of pagan runes. Perfect for carrying a bit of magick with you throughout the day. 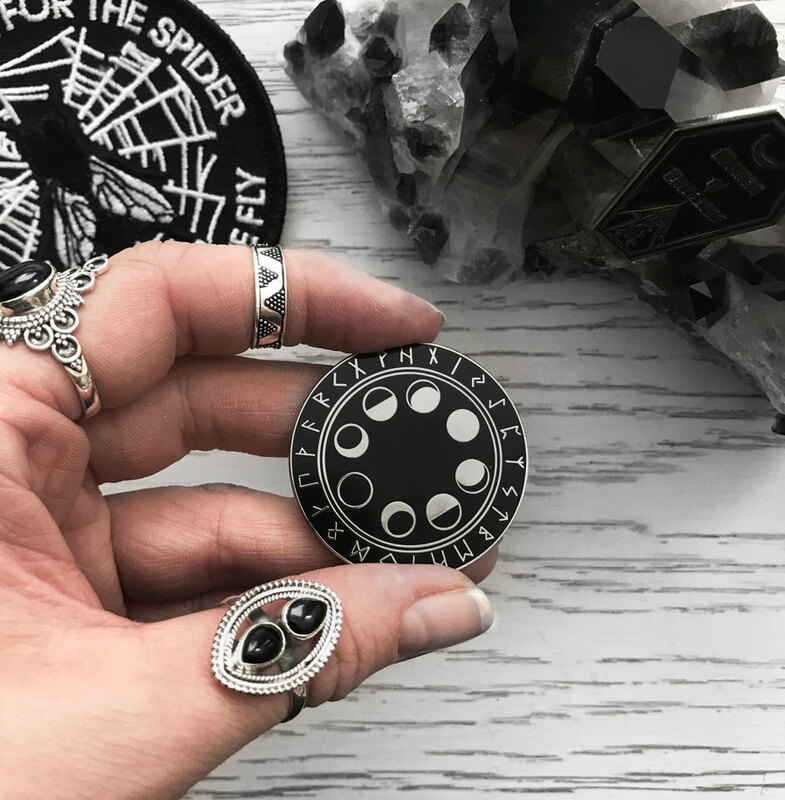 This design features 1 clasps on the back and comes with rubber backs.